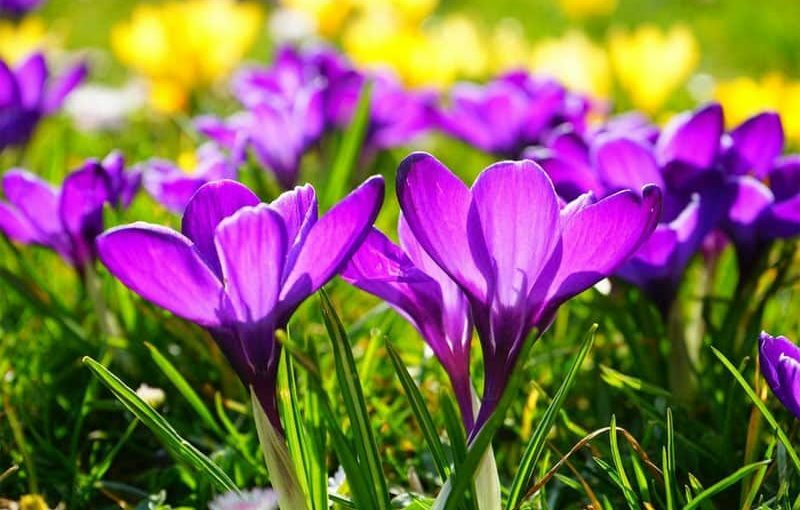 Spring began on March 20 in the Northern Hemisphere. But it is only recently that we have begun to see spring weather roll in for the northernmost parts of the U.S.
Now that the sun is out and shining, and winter storms are becoming a thing of the past, it's time to replant your favorite flowers and vegetables to enjoy all summer long! But if you're new to gardening, you may not know where to start. That's why we put together these helpful spring gardening tips. For your plants to be able to break through the soil that has been compressed all winter, you will need to clear away all the debris of plant matter that is on the top of your lawn. You can use this plant material to start your compost pile for the year. A well-maintained compost pile can help provide your lawn and garden with the chemicals and bacteria it needs to flourish. Make sure you rotate your compost pile regularly to allow air and water to circulate as the material decomposes. You can also add leftovers from your meals in the kitchen and your coffee grounds to the pile for a healthy natural fertilizer. When you want to start a garden, you need to make sure that you are planting healthy plants that will have a good shot at growing. One of the best ways to ensure your seeds survive is to start them indoors before moving them outside for better sun. That way, they will be protected from the harshest weather in early spring. Early in the spring, you will want to plant your cool season vegetables like peas, spinach, lettuce, broccoli, cabbages, Brussels sprouts, cauliflower, cabbages, and other greens. Select the veggies that you want to grow early in the season so that they have a chance to produce as much as possible. Before you start pruning away, make sure you take care with your spring flowering shrubs not to eliminate last year's growth. They should only be pruned after they bloom. Other trees and shrubs in your yard should be pruned of all broken, crossing, dead, or diseased parts of the plant. Try to help the plants maintain their natural shape and only remove up to one-third of the plant material if you want it to flourish. To do the best job at pruning, you will need the right tools. Purchase pruning shears, loppers, and a hand saw to have everything you need. Planting window boxes is a great way to add a dash of color and some curb appeal to the front of your home. Make sure you select flower choices that will do well with the amount of sun they will get where you place them. You should also choose plants that all need the same amount of water so that you don't have to worry about overwatering some of them. To ensure your window box plants do their best, make sure you use a potting soil mix and that the planters have a wide variety of different leave sizes, colors, and growth habits. There are several different kinds of soil tests available on the market to help you ensure your yard is ready for planting. But the most important one is the pH test. By testing your soil pH, you can find out what it needs to be able to grow plants healthily. One of the first warm days of spring should be spent cleaning up your outdoor area. You can perform tasks like power-washing your deck, cleaning your rugs, and prepping your grill for the season. Some people like to rent a pressure washer to get rid of all the dirt and grime left behind after a long winter. Many people will need to service their lawnmowers before they are able to use them for spring. Start by cleaning out the blade and getting it sharpened it necessary. You may also need to swap out the air filter and spark plugs. Finally, you will need to change the oil and fill it with gas before giving your yard its first mow of the year. Before your first mow, you may want to apply a layer of fertilizer to your grass to ensure your lawn looks its best. Make sure you search for a fertilizer specifically designed to care for the condition your lawn is in. One of the best times of year to sit in a hot tub is in the spring. Where better to do it than in the midst of your own private garden? All you have to do is a little research to figure out what kind of hot tub you can afford in your price range. Check out these hot tub reviews for the best suggestions. We've Got More Spring Gardening Tips! Learning how to take care of the plants you want in your yard is the only way to maintain the home of your dreams. Take your gardening work seriously and put in the effort to ensure your plants flourish. But even if you do everything suggested in this article, you may still have some plants that are suffering and need help. Check out our gardening guides for additional spring gardening tips and much more!